The Nature Conservancy, established in 1951, has a mission to conserve the lands and waters on which all life depends. 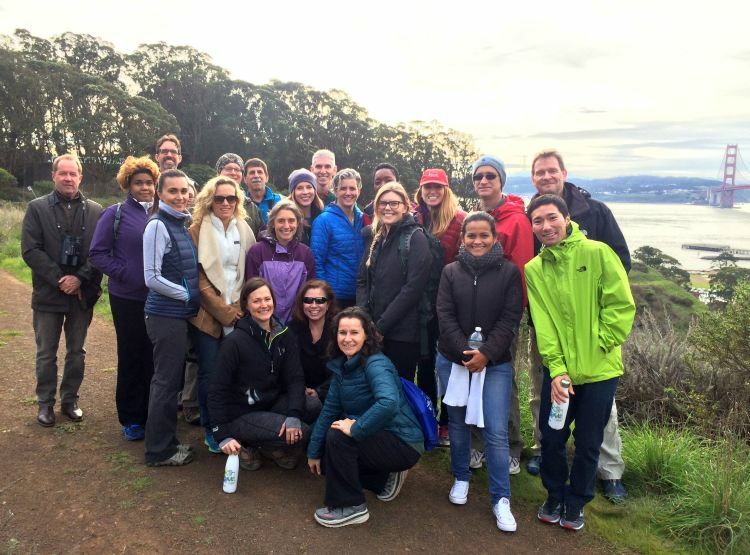 With such a mission, Cavallo Point – the Lodge at the Golden Gate was the perfect place to host their latest team retreat for the Office of the Chief Scientist. Through the Institute’s partnership with Cavallo Point we aim to ensure that this national park lodge is available and affordable to organizations addressing important issues around the environment and sustainability. With a focus on science ranging from agriculture and climate to marine life and urban conservation, The Nature Conservancy’s more than 600 scientists, researchers, analysts, and innovators are an integral part of the organization’s work to protect the planet. This past December’s meeting allowed a small portion of this group, the Office of the Chief Scientist, to gather and train their team, set global strategy for the coming year, and socialize in a relaxed setting. Retreat attendees work all over the world using decision science tools from economics and applied mathematics to formulate and solve conservation problems in the real world. Gathering the group at Cavallo Point proved to be the perfect central location: close to an international airport, easy and quick to get to, and a great backdrop for a conservation-focused organization. The Institute's discounted rate is available annually from November through April, providing an affordable and beautiful meeting place for non-profit and government groups gathering to address environmentally-focused issues. Learn more about this opportunity, how your group may qualify, and how to apply by visiting our Cavallo Point page.